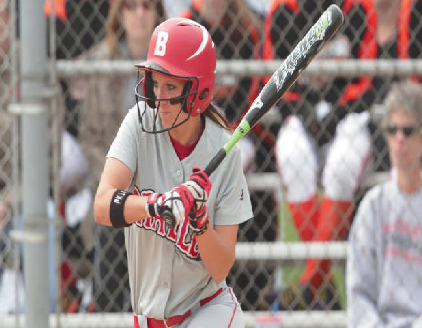 Simply put, the Bradley softball team needs to win. 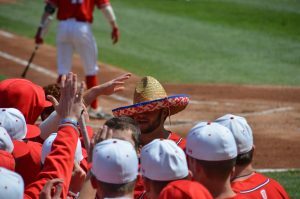 After being swept by Southern Illinois last weekend, the Braves looked to regain some inspiration heading into the final stretch of the season. 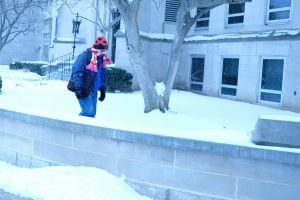 On Tuesday, the Braves faced defending Missouri Valley Conference Player of the Year Jamie Fisher and a streaking Northern Iowa team. The Panthers beat Bradley handily 8-0. Fisher dominated the Braves, striking out eight batters and not allowing a run on only four hits. Northern Iowa beat Bradley 8-0. 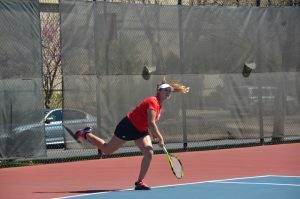 Coach Amy Hayes tipped her cap to Fisher but also felt that the Braves need to step it up going into the final stretch of games to try and sneak into the MVC tournament. The Braves could never get into a rhythm Tuesday as Northern Iowa scored two quick runs in the top of the first and never looked back. The Panthers of Northern Iowa then knocked in five more runs in the fifth inning, as starting Braves pitcher Madeline Lynch-Crumrine was pulled after 4 1/3 innings of work. The junior pitcher said Panthers’ pitcher Fisher had a good game, but also vowed that the team will move and play harder these last few games. The Braves’ frustrations continued throughout the game as the team only collected four hits compared to Northern Iowa’s 10. The team also showed little motivation in the field, making key defensive errors that cost runs. “It felt like we didn’t come into the game with any sort of aggressiveness on defense,” Hayes said. With the Braves sitting at the bottom of the MVC standings and the MVC tournament only taking the top eight teams, the Braves need to win their final four games to have a chance to get into the postseason tournament. 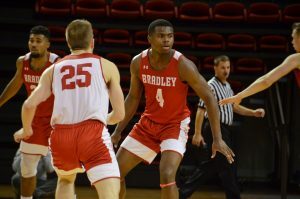 Bradley looks to get back into the win column and closer to that eighth seed with their final road game of the season as they take on I-74 rival Illinois State on Thursday. The Braves then come home to Laura Bradley Park to close out the regular season with a doubleheader against Missouri State on Saturday with the series finale coming on Sunday.